What Else Has Elie Wiesel Been Lying About? Browse: Home / What Else Has Elie Wiesel Been Lying About? Richard Goldstone and his team personally confirmed the deaths of 47 children in Gaza during Operation Cast Lead. 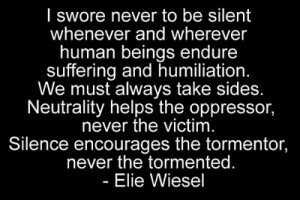 Elie Wiesel’s statements about Israel’s 2008-09 attack on Gaza don’t add up. On September 29, Wiesel appeared alongside Sheldon Adelson, Rwandan President Paul Kagame and Shmuley Boteach to talk genocide and about how the “strong” can protect the “weak” in the context of the chemical weapons attack in Syria in August. “Israel is part of our lives. It is truly part of mine,” Wiesel said on stage. At the conclusion of the bizarre event, Max Blumenthal and I asked the world’s most famous Holocaust survivor an obvious, though unasked, question: who would protect the people of Gaza from Israel? His first answer (minute 6:20 in the video above) was that “all human beings should be protected everywhere.” When I pressed him about the 300 children killed in Gaza during Operation Cast Lead and whether he supported the assault, his response was: “I don’t know anything about it.” Blumenthal and I each tried one more time, and Wiesel again said he didn’t know anything about Cast Lead. 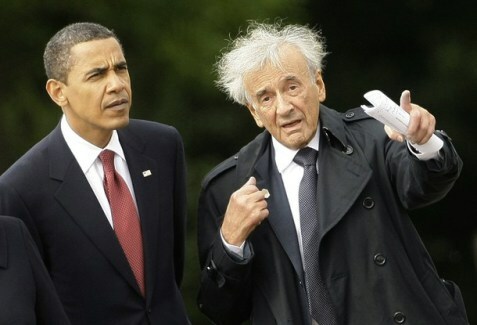 But Wiesel says he doesn’t know anything about the killing of children in Gaza. How seriously can we take his pronouncements on Israeli policy or international affairs if he’s not aware of these basic facts?